Members Choice Federal Credit Union offers a variety of convenient, low cost loans. Rates are always competitive and interest is charged only on the unpaid balance, not the original amount of the loan, and there is no penalty if you want to repay in advance. Can you refinance and save money? We offer loan consultation for all members whether the loan is held here or at another financial institution. If you are a member, you may apply for a loan online!  Please click here and log on or sign up for MCW and you will see the loan link at the top of the page once you’ve logged in. Apply for your Members Choice loan today. You’ll be glad you did.